Today, I will be showing you the DIY PCB etching workflow used in the lab where I am working. 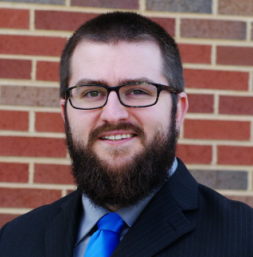 In the post last week, I discussed the design considerations for a TB6621FNG motor control board. This post will document how the physical PCB was created. Previously, when I have wanted to produce a PCB, I used a fabrication service. For low-budget projects or personal projects, I used OSH Park. While this service is very cost effective for small prototypes, it takes several weeks for the board to arrive. In projects with a heftier budget where timeliness was an issue, I have used Advanced Circuits’ barebones PCB fabrication service. But what if the project is low-budget and in need of a quick turnaround? Easy: take fate into your own hands with a little DIY PCB etching! First, you need we prepare our PCB layout for a transfer process. If you are using KiCAD, this is very simple. Go to “plot” your PCB. When the small screen pops up (see image below), the option “mirrored plot” will be grayed out. 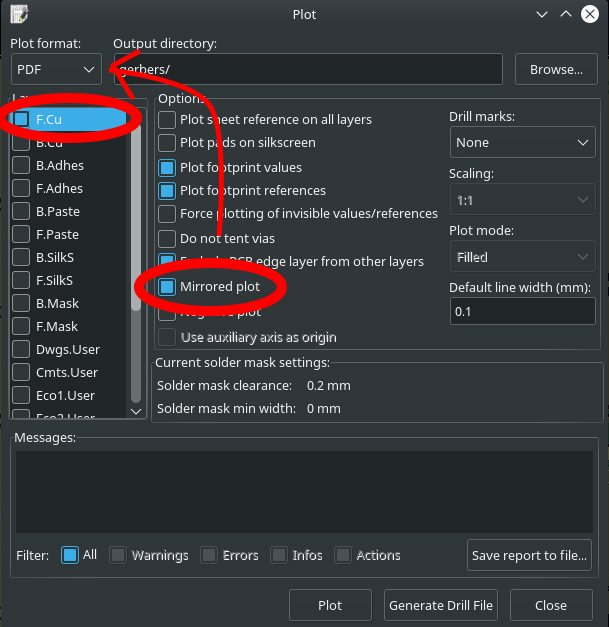 So first, you must set the plot type to PDF. Then, the “mirrored plot” option will become available. Note that I have selected to only plot the front layer of copper. Since we can only put a transfer on one side of the board, we can only select one layer at a time. Thankfully, the board I designed is single sided. Note that if you are also etching a back copper layer, you will not need to mirror that plot. 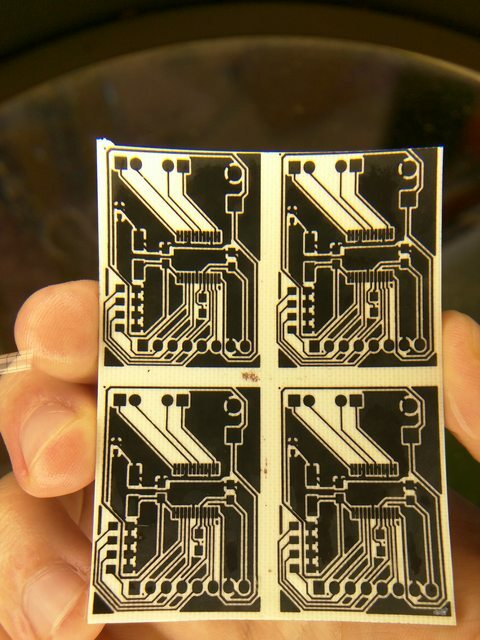 Now, we print four copies of my PCB onto a single sheet of glossy paper. It is important to make more than one copy when you produce a board, as sometimes not everything goes perfectly and you have to throw one of them out. I wish I had information on the paper I used for this project. Unfortunately, my post-doctoral advisor just found some old stuff that was being removed from the department. The packaging of the ream of paper has no identifying information aside from the 90’s era IBM logo. So, I can’t help you pick the right paper to use. What is important to note about this paper is its glossy photo finish. When the ink is printed onto this kind of paper, the ink remains in a top layer of plastic instead of penetrating fully into the paper. This is thin polymer film is what we will use as the transfer. 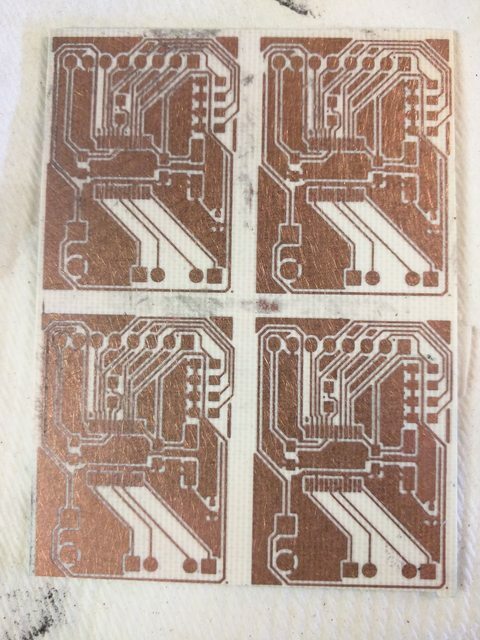 Next, we cut out our prints and tape them upside-down to the copper side of an FR4 board. This material is called “copper clad board”. The material I used in this instance is pictured above. The part number is not available from that supplier at this time, but there are some other versions instead. See here. The type of tape you use does not matter much. I used brown packing tape, but most will be fine. Personally, I would avoid duct tape, because I suspect that would generate gross fumes and make a mess in the next step, but I have no experience to back this suspicion up. 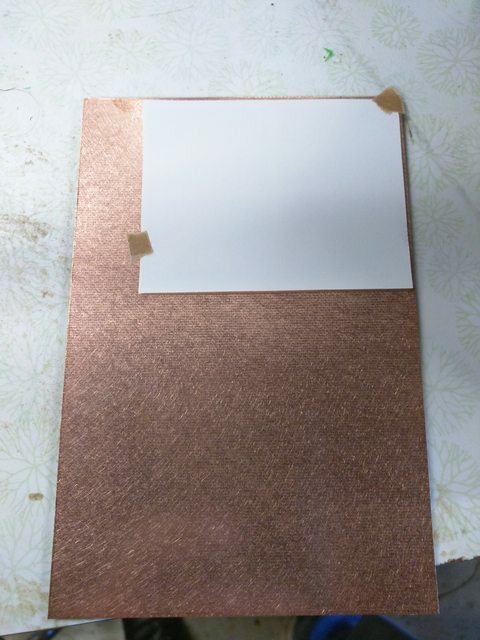 Now, we take the prepared copper clad board and run it through a desktop lamination machine. 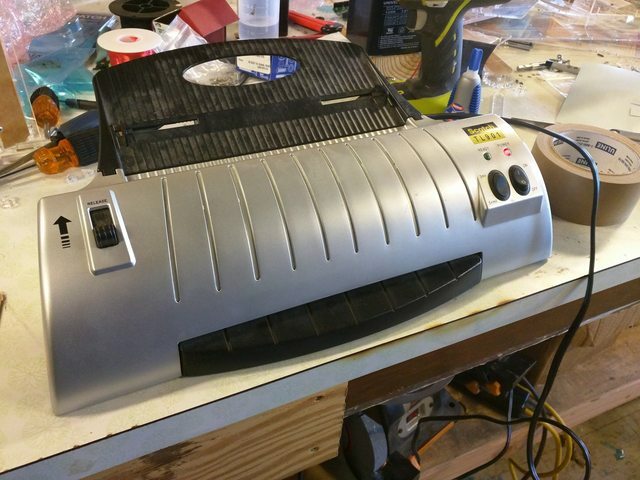 While other methods for DIY PCB etching might call for a heat gun or hairdryer to affix the transfer to the board, we found that the laminator works best. The board is rotated and passed through the machine multiple times. 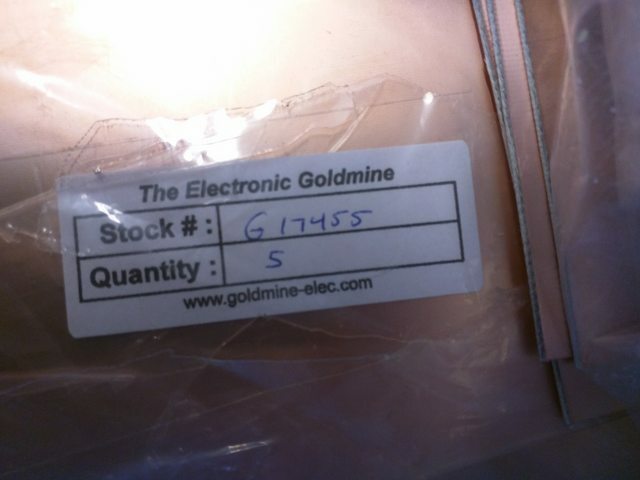 For our particular materials and equipment, my advisor stated that the transfer must be passed through exactly 7 times, as this is the correct number to affix the transfer to the copper without melting anything. With the transfer on the copper, we give it time to cool down. Once cooled to room-temperature, the board and paper are submerged into warm water. 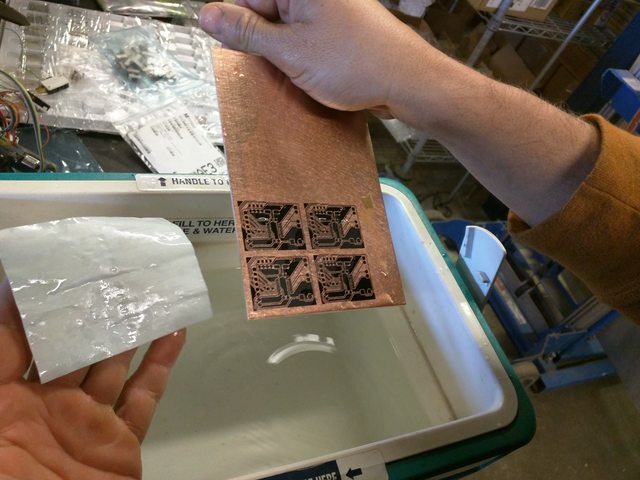 After a moment of soaking, the paper peels off cleanly from the copper clad board, leaving a nice clean transfer. Now that our ink has been transferred to the copper clad board, we can begin etching. The etching solution is prepared by a volumetric mixture of 1:3 muriatic acid and hydrogen peroxide in consumer concentrations. Note that these chemicals can be substituted with ~12M HCl and 3% HOOH, should you be in a setting without the consumer versions I mentioned. As always, remember your safety rules. Add acid. This means that you should add acid to the hydrogen peroxide, not the other way around. One way to accelerate a reaction is to increase the temperature of the solution. Since we are doing this in an inexpensive disposable PE or PP container, directly heating the solution with an electric heater or burner is impractical. Thus, the solution is floated in a hot water bath during the reaction. We used an ice chest which was on hand when we performed this reaction. 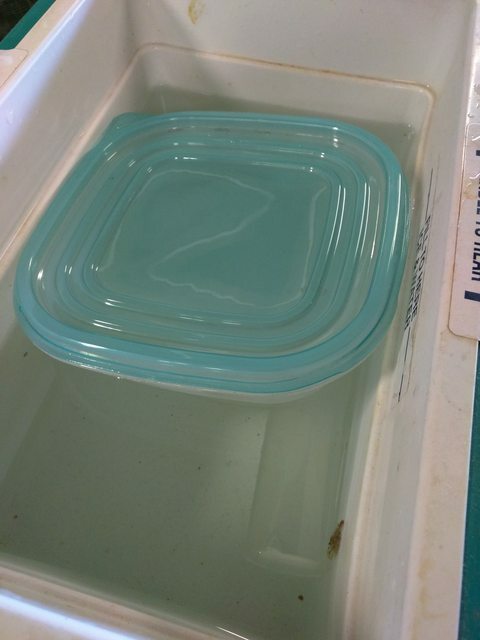 This high tech etching bath is full of dangerous chemicals, so I recommend putting a lid on the reaction vessel. Once you give the solution a few minutes to equalize in temperature with the water bath, you can place the board in the solution. The exposed copper will begin to bubble, and the solution will begin to turn green. After few minutes, the reaction should be complete. Keep an eye on it though. 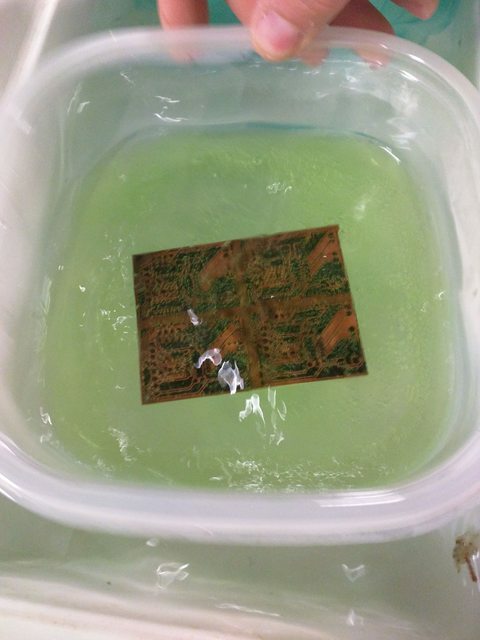 Once the copper is completely etched from the exposed board, remove it from the solution with your plastic tongs and stop the reaction by submerging the board in the water bath. If you leave it too long, the solution will begin to etch the copper you want to keep for the board. Now that the board is etched and the reaction has been stopped, we can clean up our product. In the image below, we can see that the copper has been completely removed from the exposed areas, but the ink from the transfer remains. This can be cleaned with acetone. Use a minimal amount of acetone and a cloth to wipe the board. You may have to do some scrubbing, but the acetone does a good job removing the ink. This process should not be very difficult. Once you are done, you are left with a copper board that is complete. Next week, I will be discussing steps I took to make the board from my DIY PCB etching ready for components.